In the last few years I have faced most Apple announcements with more than a handful of skepticism. As cool as new camera filters are (there is that skepticism) what I really want is a phone that makes my life easier or better in some meaningful way. 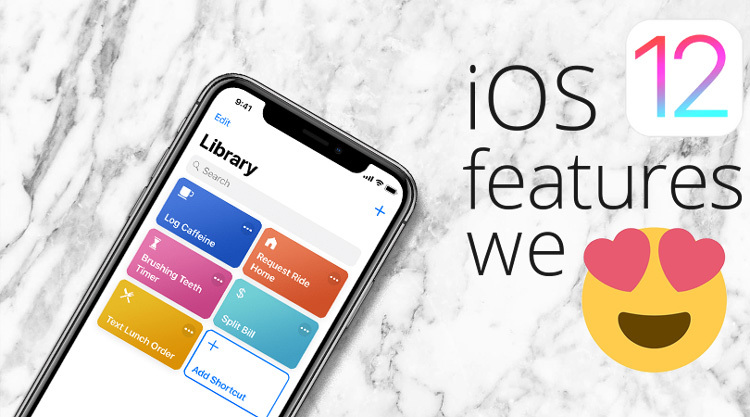 The new iOS 12 announcement surprised me with a couple of changes that I am really enjoying. Read on to see how Apple made the iPhone work a little bit better for me. One of the biggest complaints with the smartphone is how it pulls us out of the moment and almost tricks us into looking at it with those little dopamine hits. I only recently started using “Do Not Disturb” mode in the evenings, and I can’t believe that I waited so long. I would like to use it during meetings, but found that I forget to turn it off when I am done. iOS 12 brings the ability to easily and quickly turn Do Not Disturb on for pre-determined periods of time. 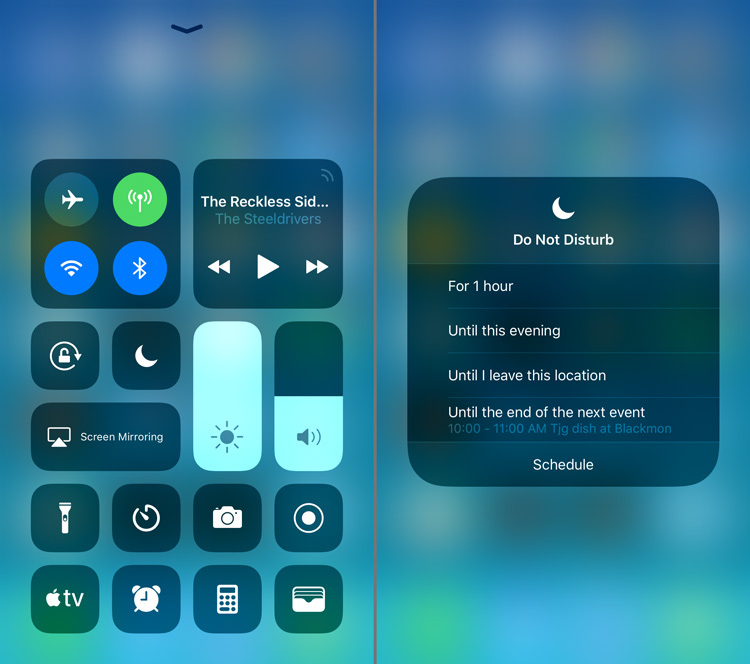 Just open the control center (swipe up from the bottom) and Force Press the Do Not Disturb button. This will give you options such as enabling for one hour, or enabling until you leave your current location. That is useful. Most of us would probably be embarrassed to learn exactly how much time we really spend staring at our phones in an average day, but we no longer need to guess at that cringe inducing figure. 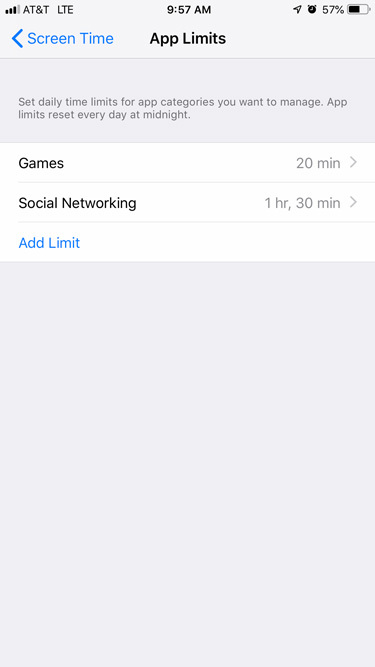 Screen Time, a new iOS 12 features, allows users to view their usage data and even set personal limits my scheduling planned downtime, limiting use of non-productive apps, and more. While useful for increasing personal productivity, the best use is probably setting limits for children’s devices. Parent’s can set, and lock, limits for their kid’s phones to ensure they aren’t spending ALL of their free time on their app-du-jour. For those people who have spent the last few years toting around both work and personal phones, Apple has finally offered some assistance. By taking advantage of the new dual-SIM card phones or eSIM (allowing dual-SIM functionality without a second physical SIM card) one can now use a single phone to fill the role of two phones. And millions rejoiced. One of the biggest frustrations with the iPhone has long been the battery life, specifically the way battery life declines as the phone ages. 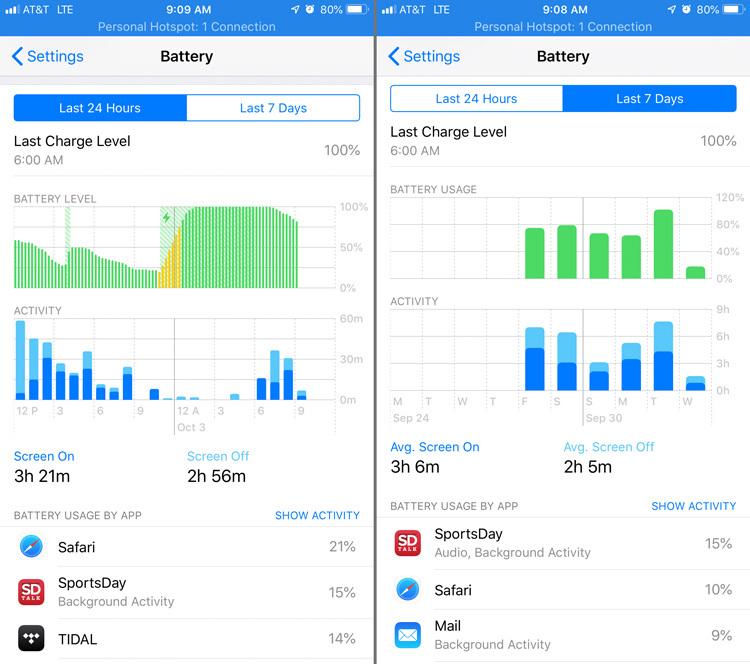 Apple has provided a flood of new information regarding battery usage, charge time, and more to help users understand their usage and how that effects battery life. 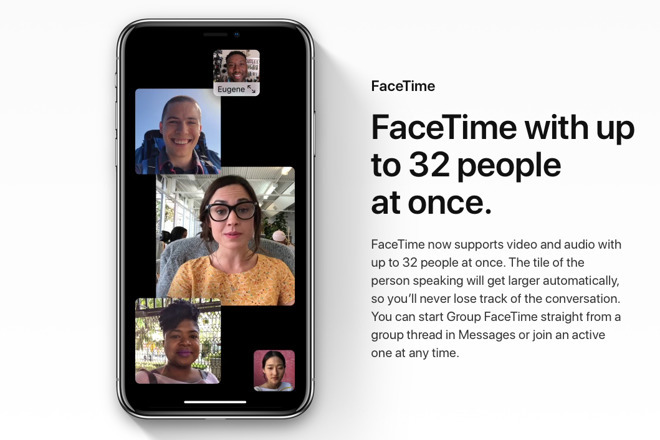 With the release of iOS 12.1 (currently in beta) FaceTime will now allow up to 32 people to chat via FaceTime at once. This is an exciting feature for friends and family spread across great distances, and should just be good fun for everyone. A killer feature is that the software automatically detects who is talking and makes that window larger. How it deals with 30+ people talking at once…that remains to be seen. Those are the features that stood out to me, let me know if you have seen anything that you think will prove useful to you.